Climate Change Denial Linked To Conspiratorial Thinking : 13.7: Cosmos And Culture The finding that climate denial is linked to conspiratorial thinking has sparked a backlash in the blogosphere. Commentator Tania Lombrozo checks in with a contested paper's lead author. What Do Aliens, Climate Change And Princess Di Have In Common? That's right: climate-change denial, discussed in last week's post by Adam Frank, is associated with conspiratorial thinking. The paper that reports this finding, forthcoming in the leading journal Psychological Science, has already caused a major flurry in the blogosphere, particularly among those who reject climate science. Assorted bloggers denounce the paper's "Anthropogenic warmist nonsense," suggest that the paper is "not scientific or competent," and describe it as "an ad hom[inem] argument taken to its absurd extreme," an "inane, irrelevant and completely biased rant study." Disgruntled climate skeptics have gone beyond digs at the science to suggest "hidden motivations" for the paper — perhaps a systematic attempt by left-wing academics to discredit those who reject climate science. And in support, they've cycled through a number of hypotheses for how the results were obtained: by deliberately biased sampling, by collecting data from "warmists" posing as "skeptics," or by statistical sleight of hand, among others. This sounds awfully ... conspiratorial (a point made here and here). Meanwhile, calls for the paper's retraction and accusations of ethics violations on the part of the researchers have come to naught. The fact is, the paper reports solid research, with all major findings now replicated in a new sample and with several specific critiques addressed in detail by the authors in a series of posts at ShapingTomorrowsWorld.com. So why the aggressive (and ironic) response? I recently had an opportunity to chat with Stephan Lewandowsky, the paper's first author, on his visit to California for the American Geophysical Union's annual fall meeting. Lewandowsky is a Winthrop Professor in the department of psychology at the University of Western Australia, with broad research interests that include human memory, the persistence of misinformation, and more recently, the motivated rejection of science. Lewandowsky has also written for a general audience about why people reject science, the pivotal role of perceived scientific consensus, the distortion of climate science in the media and the link between climate change denial and free market ideology, among other toothsome topics, as well as co-authoring the handy Debunking Handbook, a psychologically-informed guide to combatting misinformation. I asked Lewandowsky about his experience as a researcher working on the psychology of science denial, and in particular his take on the blogospheric reception to his forthcoming paper. He suggested that the paper engendered such hostility because it not only "cast people who rejected climate science in a less than favorable light," but also because "it was too close to the truth." Of course, he points out, "the way the blogosphere responded was really by confirming my finding. What they basically did was spin one conspiracy theory after another, trying to invalidate the data." 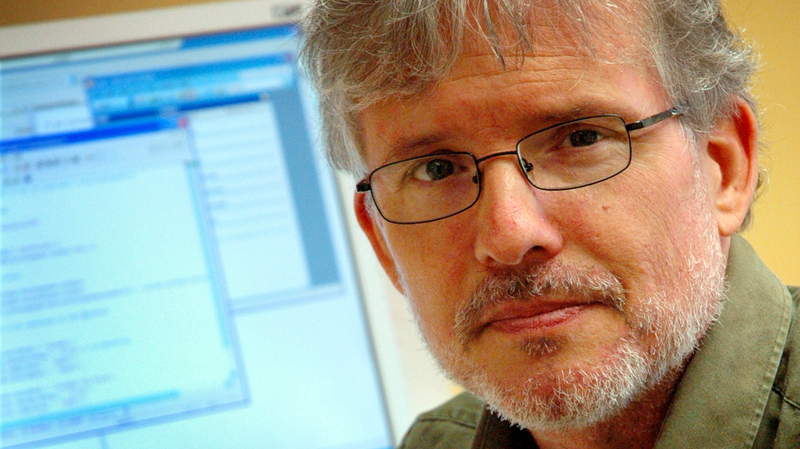 "They," a number of active bloggers who are skeptical of climate science, also tried to discredit Lewandowsky and the paper by contacting the editor of Psychological Science and officials at his university, and by filing four Freedom of Information requests for all correspondence associated with the research, including ethics approvals for the use of human subjects and communications between authors. "If you talk to climate scientists," Lewandowsky noted, "you find that pretty much anyone in climate science is subject to these kinds of attacks." When I asked if any attacks were more personal, he reassured me that he's "only had one death threat." I have yet to see anyone within science who is surprised by the finding that conspiratorial thinking and science don't mix well, because anybody who knows anything about science and anybody who knows anything about conspiratorial thinking will know that the two are, you know, the opposites of each other. As is all too common, the public perception of controversy isn't an accurate reflection of the status of particular findings or ideas within the scientific community. Lewandowsky's research on memory, for example, is arguably more controversial within psychology, where there are ongoing theoretical debates about forgetting and the role of memory interference. When I asked, Lewandowsky confirmed: "I haven't gotten any hate mail, and I haven't got any death threats, for my research on memory." And no Freedom of Information requests, either.